In what is becoming an increasingly popular New Year’s Day activity, Wyoming State Parks, Historic Sites and Trails provides “First Day Hikes” – a perfect way for Wyoming residents to celebrate the new year outdoors. Nine New Year’s Day guided hikes held at venues statewide will be held in conjunction with similar hikes held in all 50 states; a part of the America’s State Parks First Day Hikes initiative. 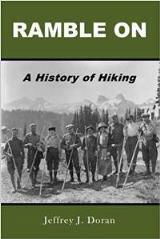 Additionally this year, participants in this year’s hikes will have a chance at winning a Mountain Hardware Micro Ratio Down Jacket or State Parks and Historic Sites Annual Day Use permits. Each venue will give-away a day use permit, and names of all participants will be included in a January 15th drawing for the jacket. This is the fourth consecutive year Wyoming is offering the First Day Hikes program. Adding a little spice to this year’s event is a friendly competition between the Wyoming and Arizona state park systems. The director of the state that registers the lower percentage of increased participation, compared to last year’s numbers, will take possession of and must wear the dreaded pink cowboy hat. Park staff and volunteers will lead the hikes, which average one to two miles or longer depending on the state park or historic site. Details about hike locations, difficulty and length, terrain and tips regarding proper clothing are listed on the America’s State Parks website. Visit www.naspd.org to find a First Day Hike nearest you. Bear River State Park - Short 2.5 mile nature hike along the Bear River. Hike distance will vary upon participant’s abilities. Meet at the Visitor Center. Begin at 10 a.m.
Curt Gowdy State Park – Up to four mile hike on a trail to be determined. Meet at Aspen Grove Trail head at 1 p.m.
Edness K. Wilkins State Park – There will be two walks. One will be wheelchair accessible and the other will be on natural surface on the nature trail. Each 2 miles. Begin at 10 a.m.
Fort Bridger State Historic Site – one mile hike/walk around the historic site. Meet at entrance booth at 1 p.m. The hike is mostly level with no inclines. Fort Fred Steele State Historic Site – up to two-mile hike, meet at bridge tender’s house parking lot at 10 a.m.
Guernsey State Park – 1.5 – 2 mile hike, start at 10 a.m.
Medicine Lodge State Archaeological Site - 1.25 mile hike on Nature Trail and park road. Meet in main parking area at 10 a.m. Sneak peak at new visitor center displays and exhibits. 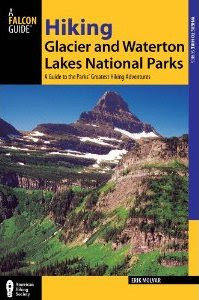 Keyhole State Park - starting at the Headquarters building and hiking to the Tatanka group shelter and back (approximately 1 mile) 10 a.m.
Sinks Canyon - Sinks Canyon hike will start at the Nature Trail Parking Lot in the Popo Agie Campground and proceed approximately 2 miles along the Canyon Loop trail. The start time will 9 a.m. Refreshments will be served in the Sage Yurt in Popo Agie Campground upon completion. Participants are urged to wear adequate clothing, coffee and hot chocolate will be provided, Bonn Fire at most locations, this is a kids and family friendly event, entry fee to participating parks will be waived. Leashed dogs are welcome. All events are subject to change. RSVPs are requested but not required. Please RSVP by emailing Paul.Gritten@wyo.gov. WYOutside, a coalition of public and private organizations with a shared stake in promoting recreation to children and families, is a sponsor of the First Day Hikes.